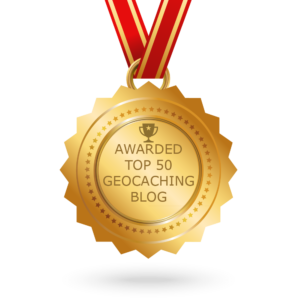 There are numerous geocaching apps out there to choose from, each with various great features and different user interfaces, depending on what your preferences are. But what about apps not specifically designed to get you to GZ, which could prove useful while you’re out on the trails, or even at home? I’ve put together a list of some free* apps that I have on my phone: some I’ve already found useful, others are there just in case I need them some day. 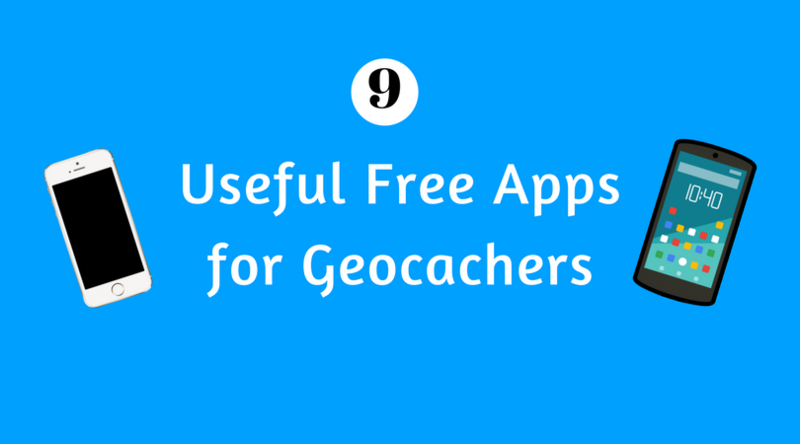 This app can come in handy when you’re trying to figure out pesky puzzle caches. With a library of various codes like Vigenere and Pigpen, Puzzle Sidekick can help you solve a multitude of different mystery caches. If you like discovering trackables, but always forget to actually do anything with that list in your notebook, or all those photographs on your phone, then TBScan could be the answer. The app allows you to take a photo of the TB code before taking you straight to the page for logging. 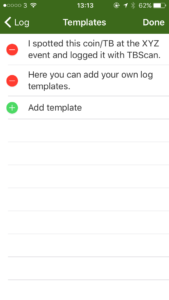 With the free version, you can log 5 codes simultaneously. 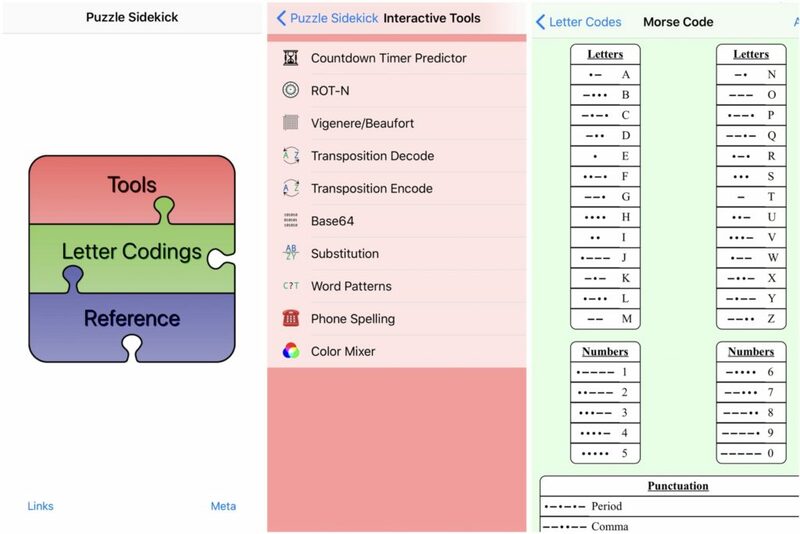 Similar to Puzzle Sidekick but specifically for geocachers, GCTools is a great collection of ciphers and tools to help you crack mystery caches. 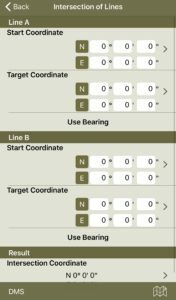 Having a basic command of some first aid is a good idea if you’re planning on geocaching in the wild. 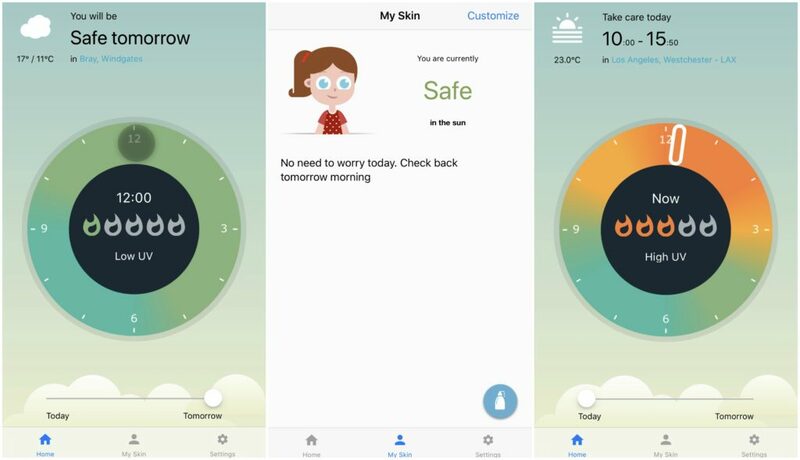 If something happens while you’re out and about that requires immediate attention, it could be useful to have an app to take you through steps to help the problem in the interim, before medical attention can be sought. There are several free apps out there providing a comprehensive guide on first aid for minor injuries you could have to deal with on the trail. 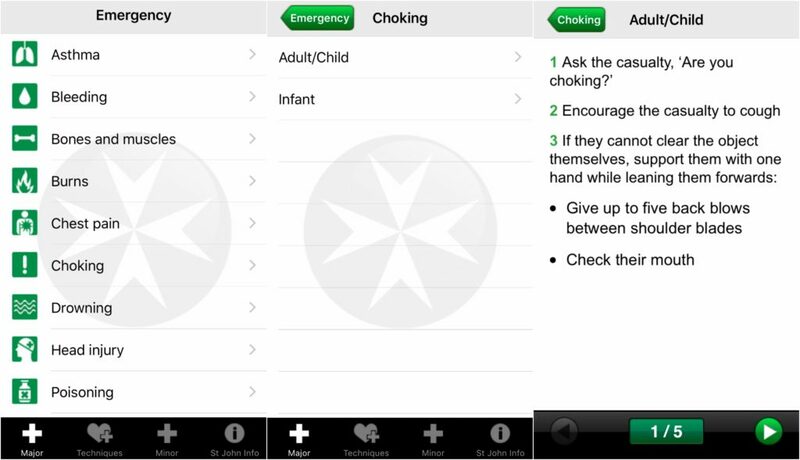 The St John Ambulance app gives great guidance if you don’t know what to do in a number of situations, from dealing with a choking incident to a broken arm. 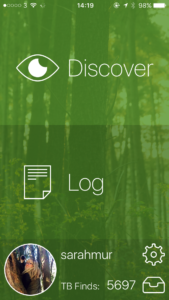 Another great app for those that find themselves in the wilderness while geocaching, Survival Guide is more like an e-book, so you can read through it from the comfort of your couch, and have it with you to refer to if you need it in the field. 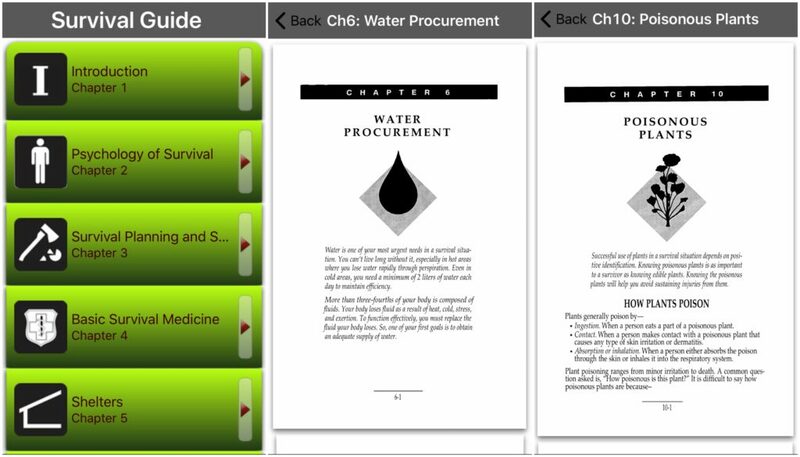 It covers a plethora of topics, ranging from the psychology of survival to signalling techniques. 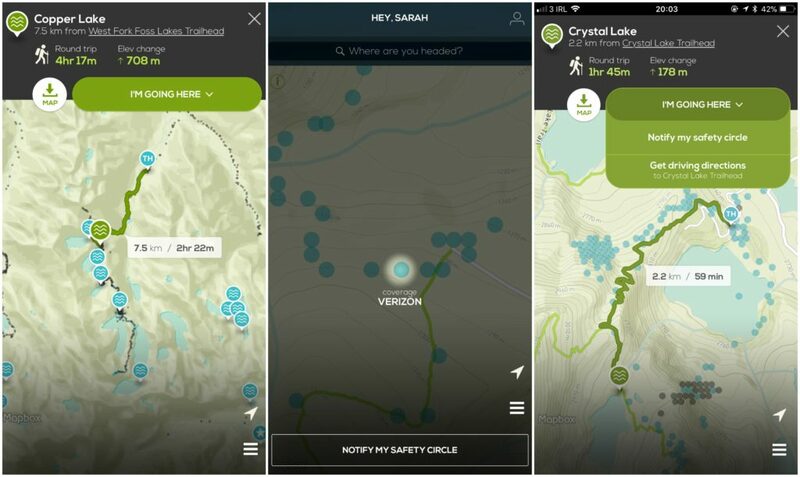 This app maps where you can find mobile coverage in the great outdoors, as reported by fellow hikers. It also has the function to give your chosen contacts (your ‘safety circle’) live updates as to your whereabouts, so they can have peace of mind while you’re on the trail. Most of us have weather apps or websites we refer to when planning a day of geocaching, but UVLens specifically reports the UV forecast per hour for whatever location you choose. Very useful to help ensure you’re sun safe. It won’t help you geocache per se, but it can be fun to identify what birds you may encounter while you’re on a caching adventure. While geocaching in Washington State just this past week, we encountered a Steller’s Jay – a bird native to the Pacific Northwest and therefore completely unfamiliar to us. Finding out what bird we spotted was a breeze with the Audubon app. 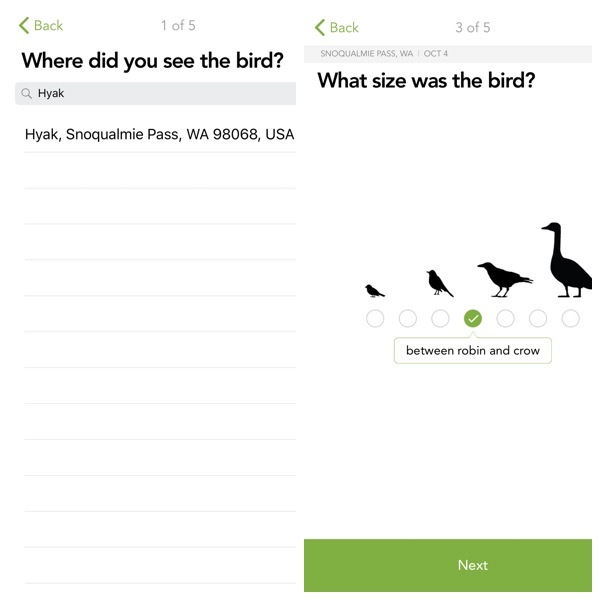 For identifying birds in locations other than North America, there are lots of great apps out there like Merlin Bird ID, which has separate downloadable packs for different regions. Find yourself somewhere where you can’t speak the native language? 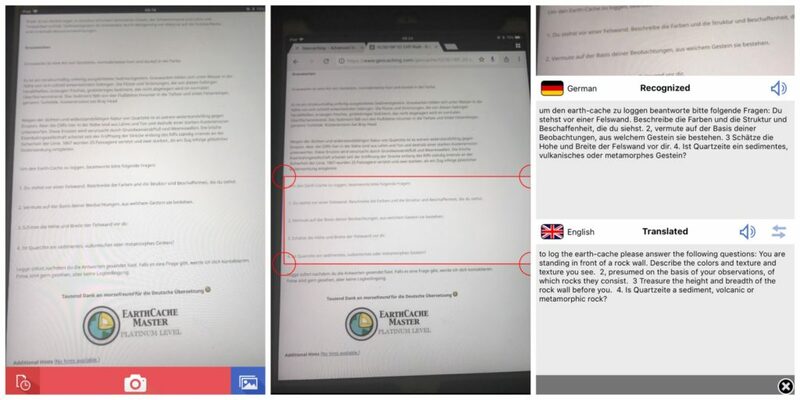 You could waste your time typing the entire text off an information sign, leaflet or menu in to a translation app or website, or you could just use TranslatePhoto, take a snap of what you want to understand and let it do the hard work, in a flash! 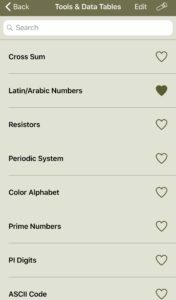 While the translation is unlikely to be perfect – automated translations rarely are – the app will give you a good gist of the meaning. This app is for iOS only but Translator Foto & Text Scanner is a similar app for Android. GCC of course for android…and if I want to send exact coordinates not related with a cache… what3words, that sends exact coordinates as a 3word-code….have a look…..http://w3w.co/modern.nowadays.nuns is cologne cathedrale for example. I’m an Apple user. 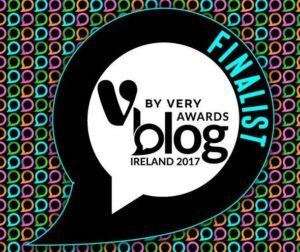 There are some useful apps here. Thanks for sharing.